Staceywines.com signs on as sponsor for Dine With The Titans For A Cure. NASHVILLE, TN (May 20, 2013) Staceywines.com is proud to announce its participation in the upcoming “Dine with the Titans for a Cure”. The event begins at 7 p.m. on May 22 at Maggiano’s Little Italy. The fundraiser is part of a 10-week fundraising effort for The Leukemia and Lymphoma Society’s (LLS) Man & Woman of the Year Campaign. Recently nominated for this position, Titan’s corner back Coty Sensbaugh explains on his website, www.coty4acure.com, that he has raised awareness and donations to support research, rehabilitation, and resources for the families that affected by this disease. Sensbaugh personally titled his campaign “A Fight for Jamaar” to honor his brother who passed away at age 16 a week after he being with leukemia. 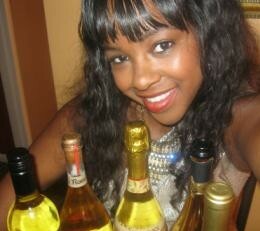 Staceywines.com has donated one of their most popular brands, Heavyweight Wine. 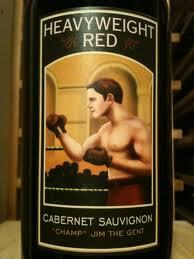 Bottled by Scotto Cellars in California, Heavyweight is an award-winning wine with an eye-catching label. The brand aligns itself with athletic champions past and present and the wine has won several medals for its great taste and value. Individual tickets cost $150.00 and table tickets cost $1500.00. Sponsorship includes: Three-course dinner, as well as the opportunity to bid on live and silent exclusive auction items from the Tennessee Titans. Families that are directly affected by blood cancer will be on hand to tell their stories. This will be an opportunity to meet children and families that are benefiting from the efforts of the LLS, have memorable interactions with Titan Players, and eat some great food; while trying out one of the best brands on wine on the market today. To buy tickets please call 615-535-3140 or email events@dreambuilders.com. Heavyweight Wine is an award winning California wine brand owned and operates by Scotto Cellars and brokered in Tennessee by staceywines.com via Triple Crown Brokerage.